The Futures and Options Product Risk Committee covers ICE's exchange traded Energy markets (including ICE Endex, ICE Futures Europe and ICE Futures US) and the Financials and Softs futures and options contracts traded on ICE Futures Europe. The CDS Product Risk Committee covers OTC CDS products. In addition ICE Clear Europe also has a Board Risk Committee comprising both Clearing Member and customer representatives as well as independent Board Members. All risk models used by ICE Clear Europe are reviewed and subject to a formal model governance process that requires independent validation. The suitability of all models is reviewed on an annual basis. Any material change to an existing model and all new models are subject to independent model validation. Parameters used within the models are reviewed and set by the ICE Clear Europe Clearing Risk Department in accordance with policies agreed by the appropriate product Risk Committee. Total initial margin information is available on the Financial Resources section of our website. Initial margin is a returnable deposit based on a Member’s open positions. It is calibrated to be sufficient to cover the expected cost of closing out a defaulting Member’s position in normal market conditions to a 99% confidence interval. Model performance is monitored daily via both portfolio and contract level back-testing. The CDS initial margin methodology provides portfolio risk coverage for Index, Single Name and Western European Sovereign CDS products equivalent to, at least, a 5-day (7-day for client positions) 99.5% Value-at-Risk measure. The model performance is monitored via back-testing and via benchmarking against a Monte Carlo simulation framework. The policies and procedures for the calculation of margin rates were finalized in cooperation with the Risk Working Group. A list of permitted cover for Members, which can be used as margin collateral, together with rate of return and/or charges, has been published. Margin calculations for ICE's European CDS business are based on a separate methodology that uses a combination of two margin approaches: scenario-based stress tests and Monte Carlo simulations. In order to ensure that ICE Clear Europe has sufficient capital as one of the world's leading multi-asset clearing houses, ICE Clear Europe has established a mutualised guaranty fund which is based on stress testing results as required by EMIR Articles 42 and 43. The Futures and Options (F&O) Guaranty Fund consists of two segments: an Energy Segment and a Financials & Softs Segment. 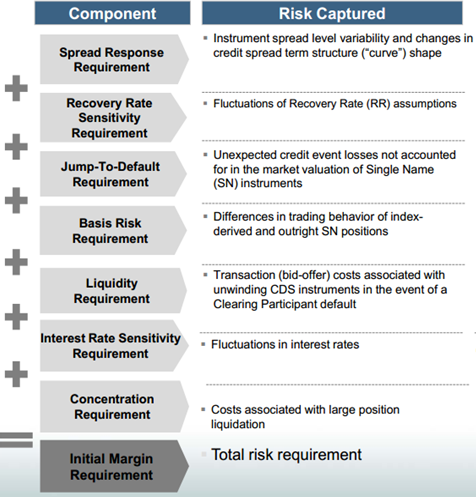 Each Segment is calibrated to be sufficient to cover the potential cost of the simultaneous default of the two Clearing Member groups to which the Clearing House has the largest exposure to, under extreme but plausible scenarios. The total size of F&O Guaranty Fund is likewise calibrated to ensure the sum of the two segments is also sufficient. The contribution of each Clearing Member to the F&O Guaranty Fund is recalculated quarterly and determined by each Clearing Member's average share of initial margin over the preceding quarter, with a minimum Clearing Member contribution of U.S. $ 1 million to the F&O Guaranty Fund. In addition, ICE contributes U.S. $156 million to the ICE Clear Europe F&O Guaranty Fund, all of which sits in front of Clearing Members' obligations. Powers of Assessment can be used by ICE Clear Europe in addition to the F&O Guaranty Fund and are limited to twice the non-defaulting Clearing Members’ F&O Guaranty Fund requirements immediately preceding an event of default in respect of a single F&O Clearing Member default (see Rule 909(c) (Powers of Assessment: F&O). The adequacy of the F&O Guaranty Fund is monitored on a daily basis by ICE Clear Europe’s Clearing Risk Department and the level of both the Energy and Financials & Softs segments are reviewed by the F&O Product Risk Committee on a monthly basis. The combined F&O Guaranty Fund requirement is shown in the financial resources section of ICE Clear Europe’s Regulation page. The Defaulter’s initial margin, including any ‘super margin’ such as concentration charge and excess collateral the Defaulter may have posted. The full amount the Defaulter has contributed to the F&O Guaranty Fund. This includes both the Energy and Financials & Softs Segment contributions regardless of which product set the Defaulter’s losses originated from. ICE’s initial F&O Guaranty Fund Contribution. ICE’s initial contribution to both the Energy and Financials & Softs will be consumed prior to the application of any non-defaulting Clearing Member’s contributions. Non-defaulting Members contributions and any pari passu contributions ICE may have made at the time of the default. Where the loss relates to the Financials & Softs contracts the Financials & Softs segment will be exhausted prior to the application of Clearing Member contributions to the Energy Segment, and vice-versa. Losses will be distributed on a pro-rata basis. Powers of Assessment. Where losses relate to Financials & Softs contracts F&O assessment contributions relating to the Financials & Softs Segment will be applied and exhausted prior to assessment contributions relating to the Energy Segment, and vice-versa. ICE Clear Europe has established a separate Guaranty Fund for the CDS Clearing Service that is sufficient to absorb the greatest combined uncollateralized loss resulting from the simultaneous default of two Clearing Members during periods of extreme market conditions where initial margin held in respect of the defaulting Clearing Member’s positions proves to be insufficient, as required by EMIR Articles 42 and 43. The CDS Guaranty Fund is allocated between Clearing Members on a pro-rata basis corresponding to the uncollateralized stress losses (generated using scenarios set up specifically for Guaranty Fund allocation) of each individual Clearing Member. The CDS Guaranty Fund is covered in Euros with additional requirements in US Dollars in relation to Sovereign Single Name products. Further information on the asset restrictions and parameters that apply to the CDS Guaranty Fund. The allocation of assets following the default of a CDS Clearing Member is consistent with that set out above. Portfolio level initial margin is back-tested against the actual two-day* price changes to ensure that initial margin requirements are performing within the stated risk parameters. Back-testing results are also presented to the Futures and Options Product Risk Committee on a monthly basis. *One or two day for energy products, depending on the corresponding Margin Period of Risk. Portfolio level back-testing is conducted daily and based on a 5-day margin period for House accounts and a 7-day margin period for client accounts. Back-test results are also distributed to the CDS Risk Committee weekly. Further details of back-testing results of both CDS and F&O Clearing Member portfolios are contained within ICE Clear Europe’s CPMI-IOSCO Public Quantitative Disclosure Standards for CCPs. Please see Section 6.5 of the Aggregated Data File which can be found under the Quantitative Disclosures section of ICE Clear Europe’s Regulation page. In the event of a Clearing Member default, the primary responsibility of the Clearing House is to contain the cost of closing out the Defaulter’s position to an amount less than the margin and guaranty fund contribution of the Defaulter. ICE Clear Europe has extensive powers under the Clearing Rules (Part 9: Default Rules) that allow it to perform this function. This includes details on events that could constitute an Event of Default. The Clearing House will, on a best endeavours basis and where it is able to identify individual client positions and it does not compromise its duty to contain the Defaulter’s losses, assist clients of the Defaulter in the transfer of their positions to an alternative Member. For further information on porting of client positions, please see the “Disclosure Statement pursuant to Article 39(7) of EMIR” and “Customer Protection Framework”. ICE Clear Europe assesses procyclicality using percentage changes in initial margin over a 5-day window and the threshold condition is applied to the 95th percentile expected shortfall level of the percentage changes over a rolling 250 day window. R-A-G triggers an amber warning if the expected shortfall exceeds 50%, and red if it goes beyond 100%. This is calculated for the top benchmark products per market. ICE Risk Model is a margin calculation tool that supports the calculation of original margin amounts for products cleared by ICE Clear Europe, based upon the ICE Risk Model specification. All market participants and users, as well as others with an interest in understanding how ICE Clear Europe margins its products, are welcome to download and use the ICE Risk Model software. The software license can be found here and users are required to accept the terms of the license as part of the installation process. Users are not charged for use or download of the software, but there are limitations to using the software in commercial applications. ICE Risk Model utilises the Microsoft.NET Framework, version 3.5. Users must install this program prior to installing ICE Risk Model. Download Microsoft .NET& here. This major upgrade release provided support for the new SP5 and CSV formats of ICE Risk Model array file utilised by ICE Clear Europe since 20th November 2009. This supported expansion in the range of inter-contract spreads applied by ICE Clear Europe and upgrade to this Version is required in order to properly calculate margin. This version rectifies a compatibility issue identified in version 1.010 relating to some Windows 64bit editions. This update is only required by users of Windows 64 bit editions. This maintenance release contains accumulated minor fixes to the core margining engine which most users will never encounter. Users are advised to upgrade to this version if they encounter any issues. This version contains fixes to the calculation of inter-commodity spreads and inter-month spreads. For certain portfolios these may be calculated incorrectly (albeit rarely) depending upon the set up of inter-month charges and inter-commodity credits. This version introduces the "Use Nearest Strike" feature that allows use of a ICE Risk Model array for an alternate strike to be used when margining option positions for which no ICE Risk Model array is present. Refer to the User Guide (above) for further details. This version supports the introduction of the positional allocation processing methodology that will be utilised by ICE Clear Europe as of 8 July 2011. All users must upgrade to this updated version prior to 8 July 2011 in order to properly calculate original margin from 8 July 2011. This version of the software is completely backwardly compatible with the existing margin approach. This version supports some minor bug defects. If you encounter issues with a prior version, upgrade to this version. This version supports Windows 7, 64 bit editions. This version supports calculation and reporting of the new Volatility Credit for Energy Options contracts. This version is compatible with Energy and FX ICE Risk Model arrays. This version contains a fix to the Inter-contract Credit report and the display of volatility credits. This version is compatible with Energy and FX ICE Risk Model arrays. This version ignores the new Margin Ratio Record (Record Type 36) and contains some minor report enhancements. This version is compatible with Energy and FX ICE Risk Model arrays. This version of ICE Risk Model for ICE supports processing and reporting of additional margin requirements in accordance with the new Margin Ratio Record (Record Type 36) and contains some report enhancements. This version is compatible with Energy and FX ICE Risk Model arrays. This version of ICE Risk Model for ICE supports the capping of Weighted Futures Price Risk. When calculating margin for ICE Energy products, this must be enabled in order to replicate the Clearing House margin computation. (Menu Tools-> Apply WFPR Cap). Note that when using ICE Risk Model for ICE to compute margin for NYSE Liffe products, this should not be enabled. This version has other new features and you should refer to the User Guide for more information. 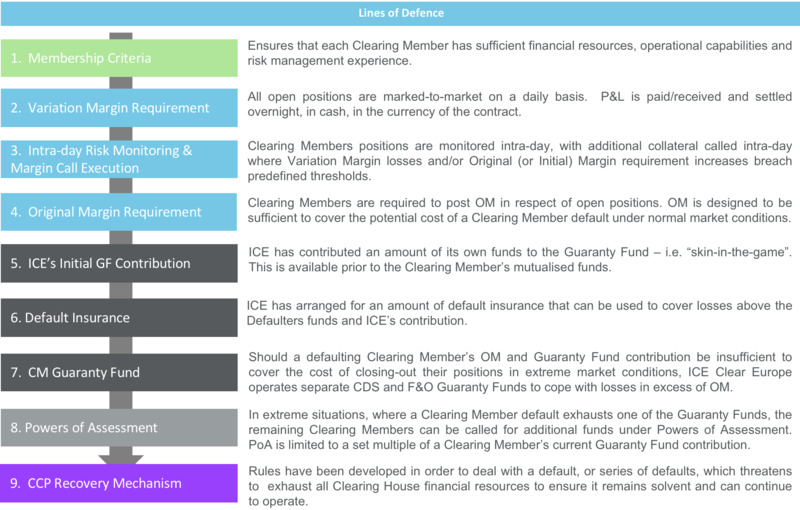 This version of ICE Risk Model for ICE supports the introduction of the new Clearing House Margin Ratio (defined within the ICE Risk Model Array Record 37) and which may be utilised as a means of applying an add-on margin to be collected by the Clearing House. This is being introduced specifically to address the EMIR requirement that Clearing Houses take account of pro-cyclical market conditions within the margin collected by the Clearing House. Note that ICE Clear Europe will not introduce the Record 37 into its array files (for ICE Energy of Liffe products) until January 2014 and further, the ratio will be defined as 1.0 (i.e. no additional margin) until such time that the Clearing House determines introduction of this add-on to be necessary. Users should also note that ICE Risk Model for ICE should be used in place of the NYSE Liffe PRMC tool as PRMC will not be enhanced to accommodate the new Record 37. This version of ICE Risk Model for ICE has improved compatibility with the SP4 format of ICE Risk Model Arrays currently published for NYSE Liffe. This version now supports the inclusion of the new record 37 within the SP4 format. All users that make use of the NYSE Liffe ICE Risk Model array are advised to upgrade to this version. Updates to the web site links on the Favourites menu (e.g. for downloading ICE Risk Model arrays) to make these compatible with the re-launched ICE web site. This update addresses a defect whereby ICE Risk Model for ICE does not always calculate the correct margin when all ICE Clear Europe ICE Risk Model array files, i.e. ICE Energy (IPE Arrays) and ICE financials products (LIF, OPT and FOX arrays) are loaded at the same time. This update addresses this shortcoming. Following the introduction of Weighted Futures Price Risk caps on Financials and Softs ICE Risk Model inter-contract credits all exchange-traded derivatives contracts cleared by ICEU are now subject to WFPR caps. This version of ICE Risk Model for ICE enables the WFPR cap feature by default. 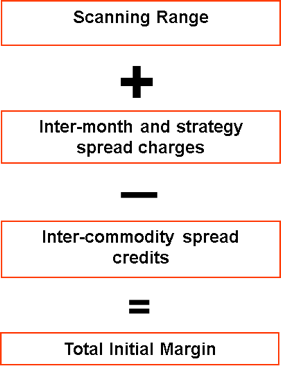 Previous versions of ICE Risk Model for ICE write log information to the same directory as that in which the programme is installed. This means that users that do not have the appropriate permissions will find that they are unable to access the log file information. The log information is helpful in identifying any errors that may have occurred when margining positions etc. For example, it identifies any positions that were not margined and why. In this, the latest, version of ICE Risk Model for ICE, the log file is written to the user’s documents directory where it can be written to and accessed without problem. The Log file can be viewed from the program menu bar, see View->Log File. This version of ICE Risk Model for ICE contains a fix to the calculation of Spot Charges. Spot Charges are used by ICE Clear Canada and anyone experiencing issues with the Spot Charge should upgrade to this version. Note that this does not affect other ICE Clearing Houses and there is no immediate need to upgrade if you only use ICE Risk Model for ICE for ICE Clear US, ICE Clear Europe or ICE Clear Singapore. This version of ICE Risk Model for ICE will save user settings between sessions. In previous versions only the setting for “Delta Split Allocation” was persisted, and now this also applies to “Use Nearest Strike”, “Output Allocated Positions” and “Apply WFPR Cap”. Note that this does not affect any margin calculations and there is no need to upgrade unless you require this feature. This version of the ICE Risk Model desktop tool has been upgraded to comply with the ICE Margin Model rebranding. The application is renamed to "ICE Risk Model Tool". The change affects the name of the executable file, and the location of the installation and data folders. It is recommended that the existing version is uninstalled before installing this version.